#OpelSocialNight: which influencer can take the most unusual photograph? Rüsselsheim/Frankfurt. At this year’s Frankfurt International Motor Show (September 14-24), #opel is going to town to celebrate the world premieresof numerous new models – from the #grandlandx #suv, the #insigniagsi and the #insigniacountrytourer, to the #vivarotourer and Vivaro Life people carriers. In addition to the new models, the Opel “X-Ville” stand (pronounced “Crossville”) D09 in Hall 8.0 is equally unique. In the form of a small town, the stand is a visitor-experience in itself, with an “X-Corner” climbing wall, Insignia Exclusive Studio and much more. True to the brand-claim “The future is everyone’s”, people are in focus at the #opel stand. 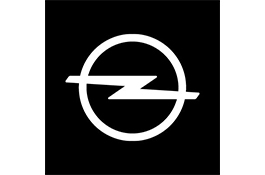 A special #event is the #OpelSocialNight at which five social media influencers will picture the #opel model premieres in a new light on the company’s specially created microsite. #opel is also a partner of the competition “Deutschlands beste Autofahrer” (Germany’s best driver), providing a fleet of cars in which participants must demonstrate their driving skills. The first prize for each winner (him and her) is a new #opel #grandlandx. The #opel X-Ville stand built around the new #grandlandx #suv is as colourful and lively as a real town. The 3,300 metre2 stand invites visitors to make a different kind of urban-experience with wellness-factor. The highlights, naturally, are the #opel X models. At the “Accessory Studio” Opel employees will show visitors how they can personalize the X-family with accessories, such as for sport and leisure. More adventurous visitors can try out the six-metre high climbing wall at the X-Corner – safely secured, of course, by experienced trainers. Surfers might prefer a surf-tour in the new passenger versions of the #opel Vivaro. There are seven matching surfboards to be won. All surfing fans have to do is go to one of the Vivaro vans on the stand and then search for surf-stickers hidden throughout X-Ville. The lucky winner of the main prize receives a Vivaro including surfboard to use for one month. To coincide with the launch of the individualisation program #opel Exclusive, the “Exclusive Studio” has been installed at X-Ville. Here visitors can see how the new #opel Insignia can be painted in almost any of the customer’s favourite colours, for example, the eyes of his (or her) nearest and dearest. Souvenirs such as model cars and soft-shell jackets can be bought at the Opel-Shop. Hunger can be stilled with a variety of freshly baked cookies at the Cookie-Station, whilevisitors with more of an eye for figures can help themselves to the delicious locally grown apples. At the same time visitors can charge their mobile devices and share their impressions “live” via social media with family and friends. #opel makes innovations accessible to all – not only in its cars, but also in X-Ville where people are fully connected to the outside world. A highlight of Opel’s social media activities during the Frankfurt show will be the #OpelSocialNight, an unusual competition in which Europe’s top social media influencers can take part with creative photos, videos, GIFs or boomerangs. The five finalists have the opportunity between 7.00 pm and midnight on September 14 to take unusual photos of the #opel cars in X-Ville. They then post these on the following days of the show – one photo or video per day and influencer – on their social media channels. The results can then be found on a social night microsite specially created by #opel. Users can vote for their favourites. The lucky winner will receive a valuable prize – a brand new #opel #grandlandx, one of the star attractions at the Frankfurt show. Influencers can apply at socialnight@opel.com until September 3. In addition to the activities at X-Ville, #opel is partnering the competition “Deutschlands beste Autofahrer”(Germany’s best driver). The prize for winning the competition on October 23 is an #opel Crossland X, but before then the participants must demonstrate their driving talents during the motor show at the open-air stand F2 in front of the Festhalle. #opel is supplying a fleet of cars for the purpose, from Corsa, Astra and Crossland X up to the Insignia flagship. The participants must complete various practical manoeuvres with the minimum of errors in the shortest possible time or drive accurately at a target on the ground in “Auto-Dart”. These and more theoretical tests must be successfully mastered at the motor show before the participants can progress to the next round of “Deutschlands beste Autofahrer”. X-Ville will open on Tuesday, September 12 when Opel CEO Michael Lohscheller will present all the new #opel models during the press conference from 9.10 to 9.25 a.m. Even before the motor show begins it is worth taking a look at Facebook and Twitter, as #opel is raffling 10 x 2 entry tickets on its German websites. Numerous tickets are hidden in the interior of a virtual #opel #grandlandx. Participants who find all the tickets have a good chance to pick up two of the much-desired entry tickets and experience #opel X-Ville for themselves.